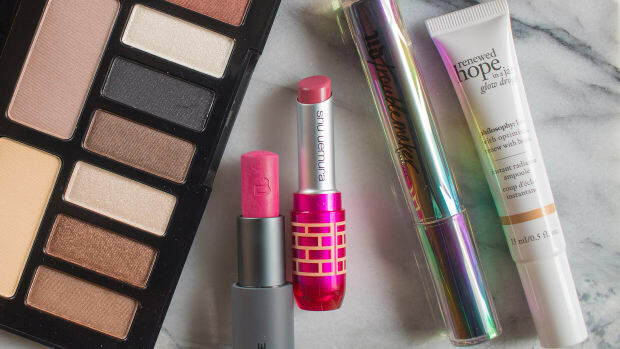 Your update on all the latest beauty launches is here—and it&apos;s a juicy one! 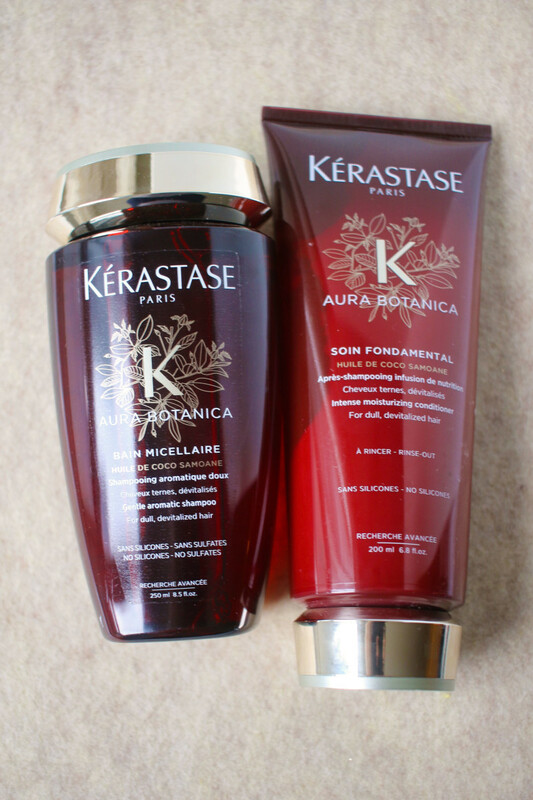 Kérastase Aura Botanica shampoo and conditioner. Huge news—Kérastase has come out with a natural haircare range! The Aura Botanica collection is 98 percent natural, with no silicones or sulfates, and made from sustainably-derived coconut and argan oils. Unlike most sulfate-free shampoos, the Bain Micellaire lathers well as it gently cleanses... I&apos;ve heard some people have found it drying, but I didn&apos;t experience that with my fine, straight hair. Either way, you should definitely use it with the creamy Soin Fondamental to soften and detangle. It&apos;s lighter than most of the brand&apos;s masks but richer than a regular conditioner. I&apos;m so in love with both products! For extra hydration, they also have an Oil Concentré that you can mix into the conditioner or apply as a pre-shampoo treatment, and an Oil Essence mist to tame frizz. 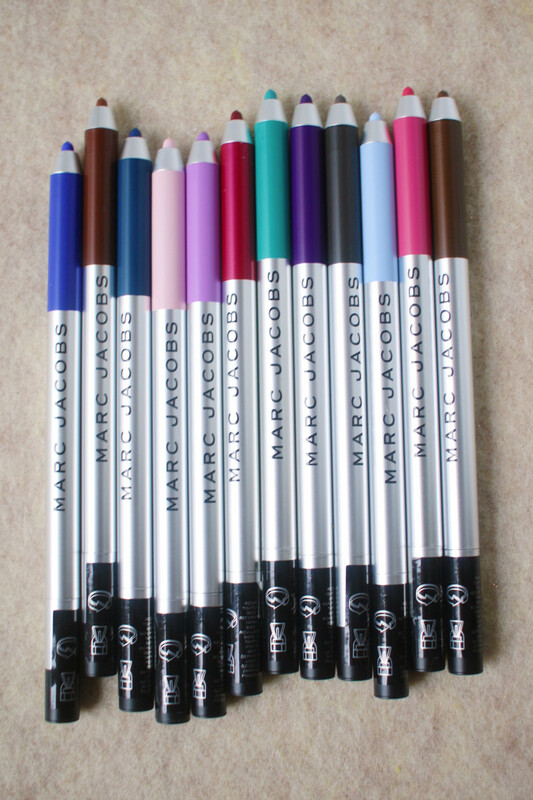 Marc Jacobs Highliner Matte Gel Eye Crayon Eyeliners. The Marc Jacobs Highliner Matte Gel Eye Crayons are the new matte versions of the brand&apos;s original hit eyeliners, in the same waterproof, easy-glide formula you know and love. Personally, I&apos;m obsessing over Whirl(pool) 51, which is the ultimate summer teal to line your lower waterlines! 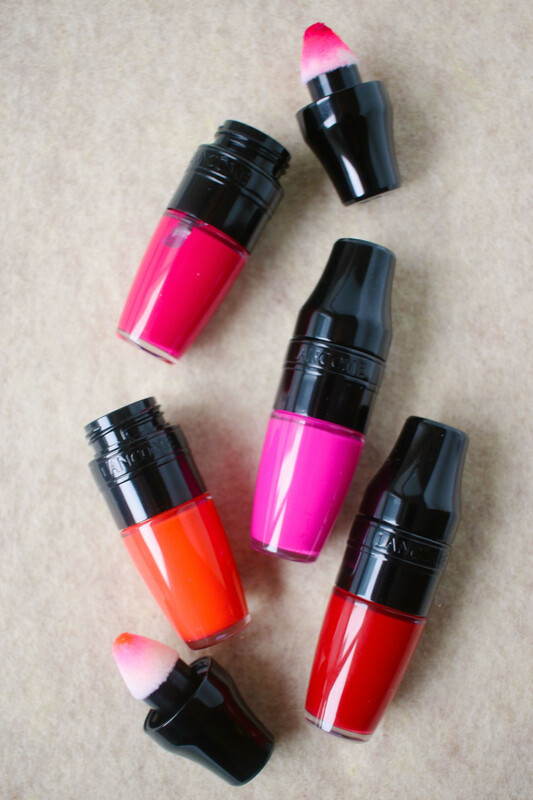 Lancôme Matte Shaker High Pigment Liquid Lipsticks in Pink Power, Yummy Pink, Kiss Me Chérie and Magic Orange. Lancôme&apos;s Matte Shaker High Pigment Liquid Lipsticks are a follow-up to last year&apos;s Juicy Shakers and so much better. They have the same spongey applicator and cocktail shaker-inspired packaging (except in black), but the finish is totally different. While I couldn&apos;t get the Juicy Shakers I tried to even show up on my lips, these deliver an intense matte look. 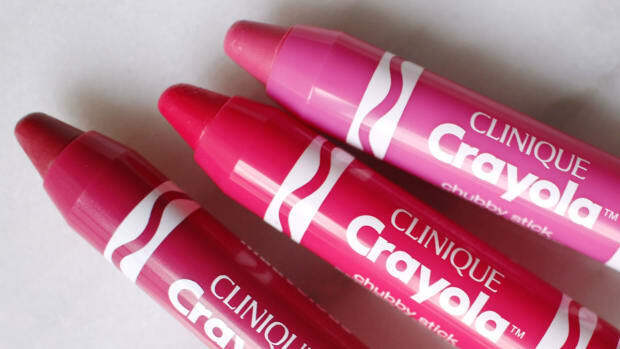 They&apos;re also weightless and truly feel like a second skin, leaving no cakey texture on your lips. I&apos;d describe them as more of a stain than the typical goopy liquid lipstick. But thanks to the oil-based formula, they&apos;re way more moisturizing than the typical stain. 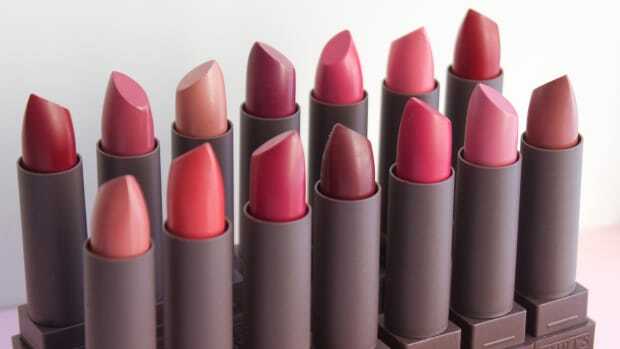 There are seven shades; I tried four and my favourites are Magic Orange (vivid orange) and Pink Power (magenta). NARS x Charlotte Gainsbourg The Multiple in Alice, Jo and Jeannette. NARS has just released a collab with style icon Charlotte Gainsbourg (daughter of Jane Birkin), and it&apos;s the best one I can remember. 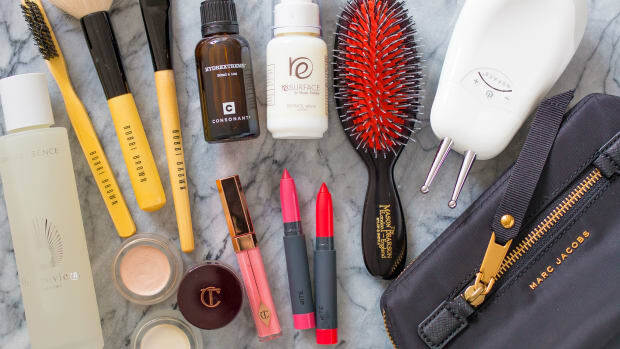 "I created this collection around my exact beauty needs," she told Vogue, so no wonder everything is so good! If I had to pick a favourite, it would be the NARS x Charlotte Gainsbourg The Multiple, a sheer and non-shimmery version of the original Multiple stick. It comes in three shades—Alice (poppy red), Jo (light pink) and Jeannette (sheer berry)—and they&apos;re all amazing on both lips and cheeks. 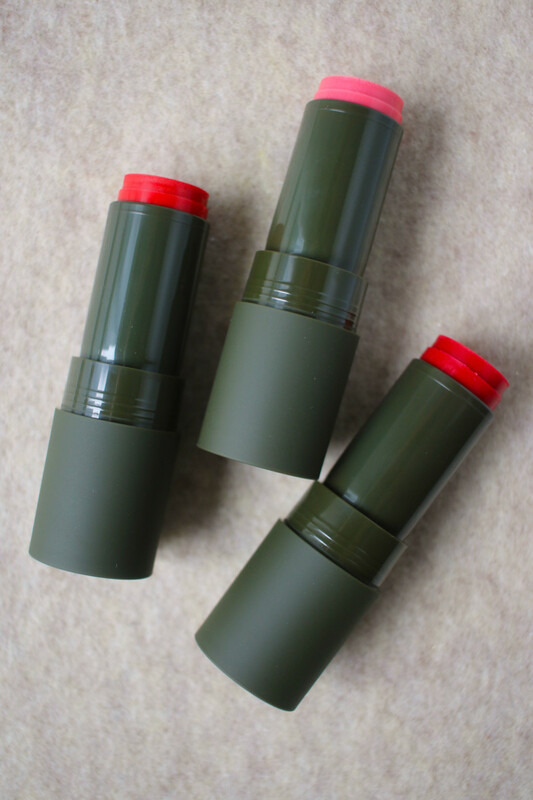 This is a true multitasking colour product that&apos;s perfect for your handbag. Also in the collection: Lip Tints, Kohliners, Velvet Duo Eyeshadows and Glow Tints. 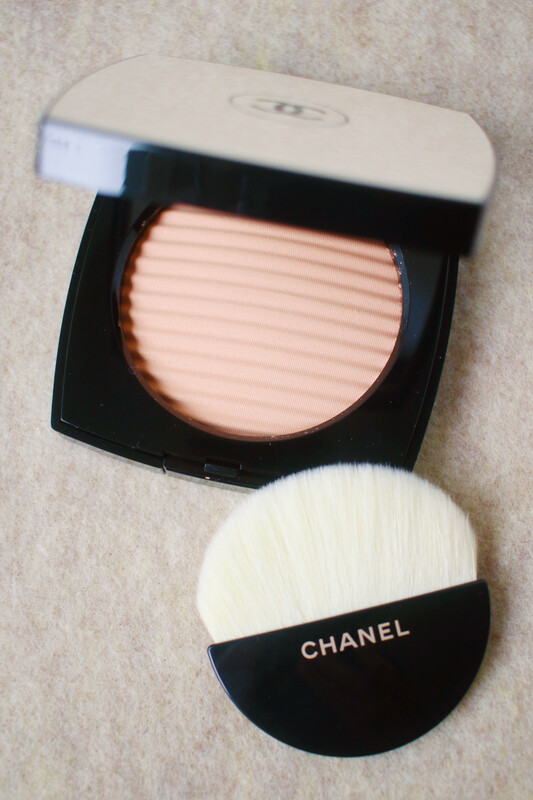 Chanel Les Beiges Healthy Glow Luminous Colour in Light. The star of Chanel&apos;s summer collection is Les Beiges Healthy Glow Luminous Colour, which is a powder bronzer and pearly illuminator in one. The effect you get really depends on your skin tone and the shade you choose (it comes in four in Canada, five in the US). I tried Light, which reads quite pinky on me, like a blush. The deeper shades are warmer and would be more like traditional bronzers on fair skin. If your skin is darker, the light shades would work as highlighters on you. To get the colour payoff of a bronzer, you&apos;d have to select a shade or two deeper than your skin tone. Alas, the darkest available here is Medium Deep. In the US, there&apos;s a Deep. As usual, it comes in a chic little palette with a brush. I love how the grooves in the powder look like sand on the beach! 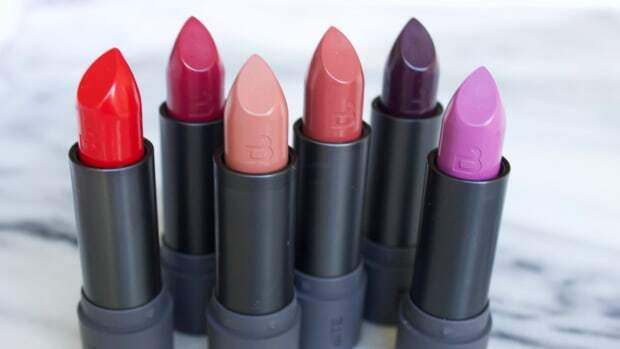 Bite Beauty The Lip Pencils. Remember the big Bite Beauty Lip Pencil launch in March? 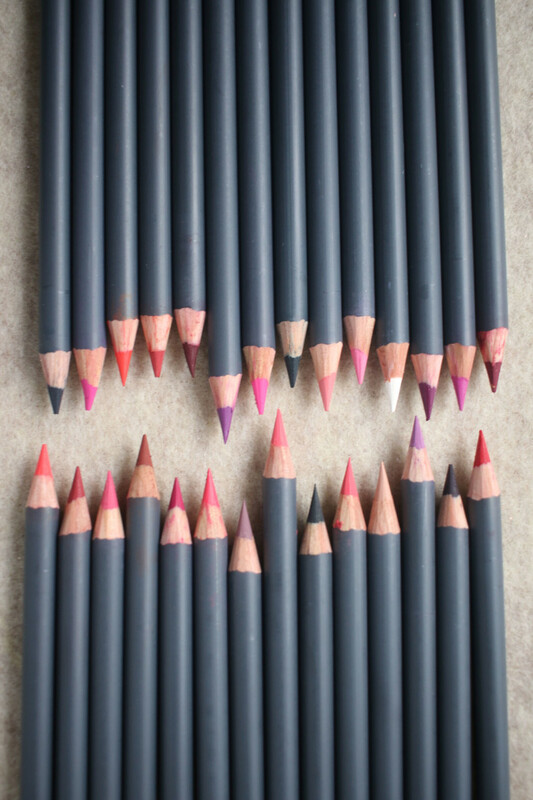 Those were all neutrals, and now there are even MORE shades to choose from because they just added 28 brights! That brings the shade range to 50 in total. My favourites are the corals, like 068 (fresh peach) and 072 (salmon), but there&apos;s everything from red to fuchsia to green, navy and black. Expect the same smooth texture and matte, opaque finish. But again, you&apos;ll need to handle with care. I noticed the same issue with the tips breaking, and the caps can easily fall off in transit. 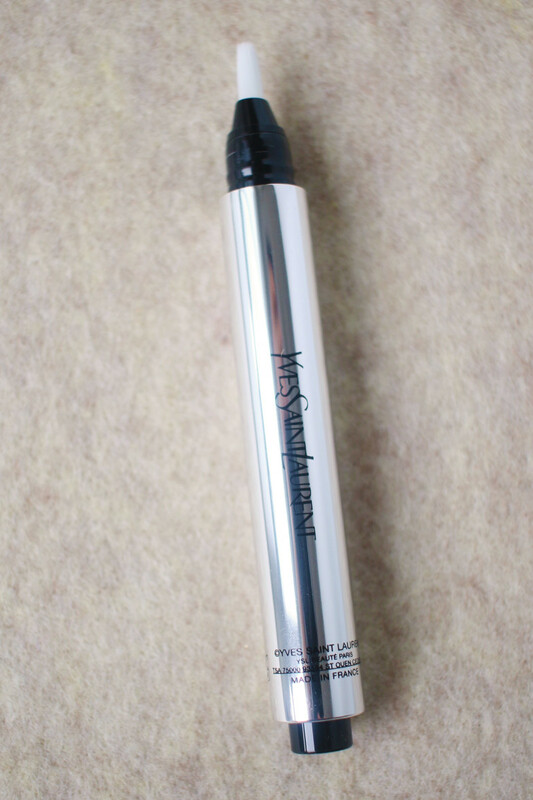 Yves Saint Laurent Touche Éclat White Ultra Brightening Pen. Yves Saint Laurent is taking strobing to the next level with the Touche Éclat White Ultra Brightening Pen, a white version of its famous concealing and highlighting wand. Contrary to what you might expect, it&apos;s not shimmery. It&apos;s a sheer white that adds major brightness wherever you apply it, without looking chalky. 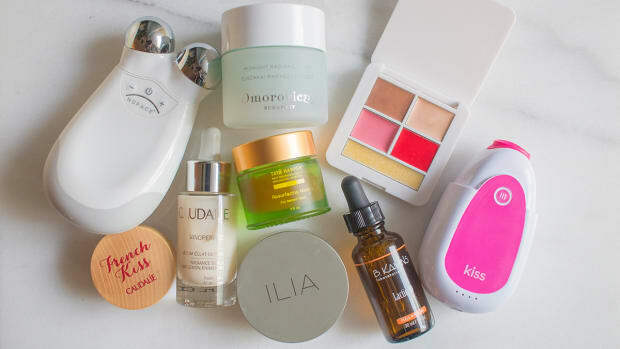 So you can use it on the high planes of your face like a traditional luminizer OR put it anywhere you want to bring features forward, like your temples, under-eyes or beside your nose. Genius idea! Paul & Joe 15th Anniversary Makeup Collection. This one&apos;s for the cat ladies! Paul & Joe turns 15 this year, and to celebrate, they have released an Anniversary Makeup Collection with their most iconic cat-themed products. There&apos;s a cat lipstick, plus six face and eye colours (shaped like miniature cats, OMG!) that can be mixed and matched in a navy portable case. 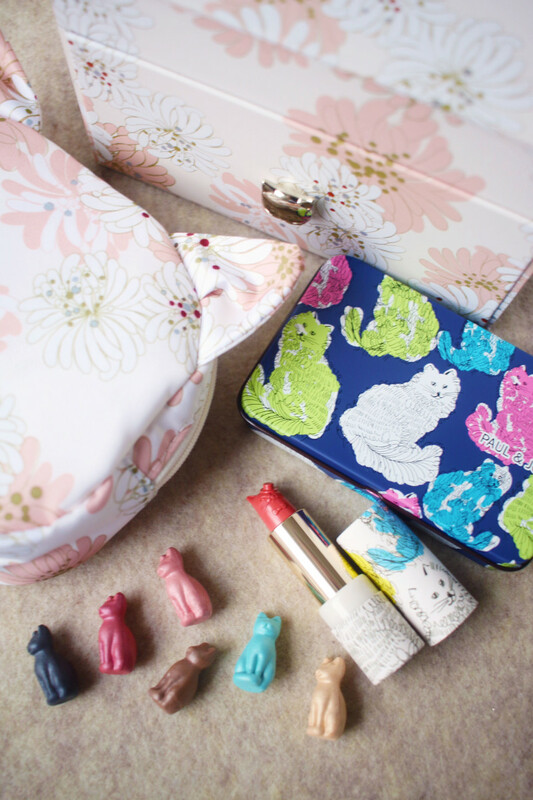 Plus you get a cat-shaped pouch, complete with ears, and a vanity box to keep on display. Hands down, the cutest makeup set you&apos;ll ever own. 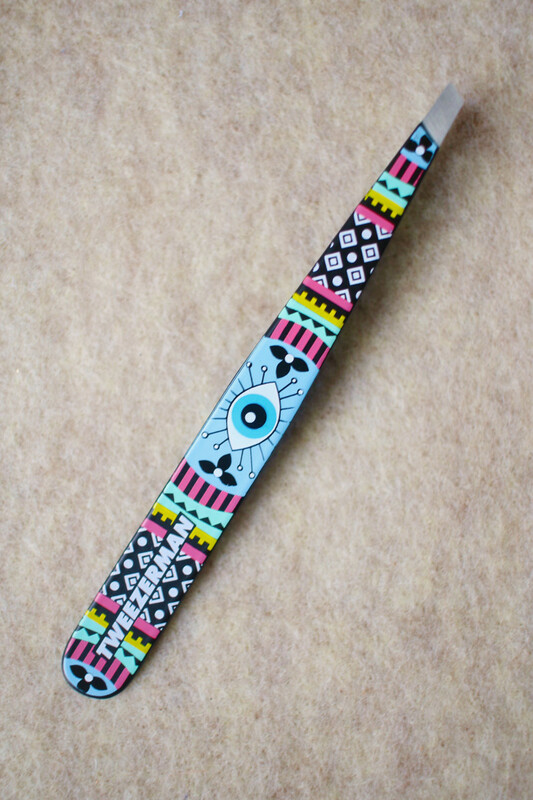 Tweezerman Aztec Eye Slant Tweezer. Why buy plain tweezers when you can get Tweezerman&apos;s Aztec Eye Slant Tweezer? The slanted design is a classic that everyone should own, and I can&apos;t get enough of this colourful print! 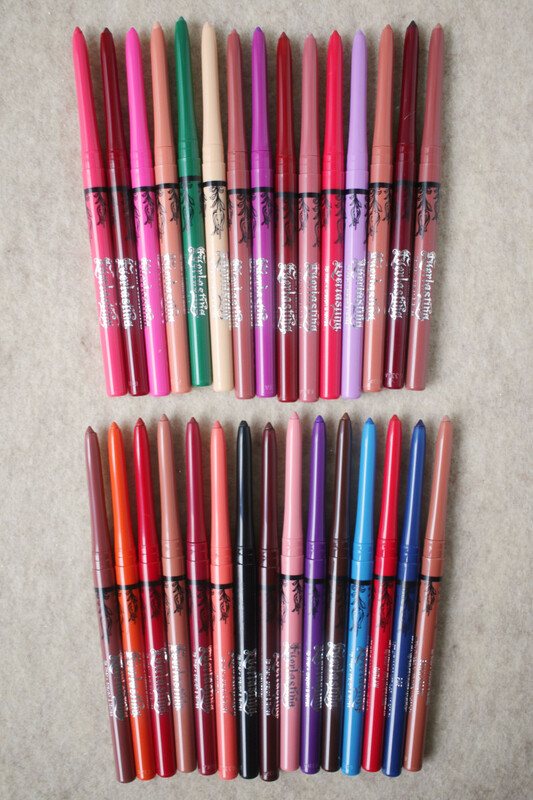 Kat Von D Everlasting Lip Liners. Not to be outdone by Bite Beauty, Kat Von D has released a lip liner range of her own. The Everlasting Lip Liners are a 30-shade collection of water-resistant, weightless colours that match the brand&apos;s Everlasting Liquid Lipsticks. From a packaging standpoint, these do feel lighter/cheaper than Bite&apos;s, but I prefer their retractable format that doesn&apos;t don&apos;t break off, with caps that stay put. They also glide on and STAY on. Seriously, you have maybe 20 seconds to blend before the colour locks on like a tattoo, requiring makeup remover to get it off. I&apos;m really impressed! The shade range has something for everyone, from muted nudes to more avant-garde blue and black. Go with Bite&apos;s if you like a more natural formula that can be worn all over the lips and don&apos;t need to take it with you. Kat Von D&apos;s are better if you need something completely budge-proof for over-lining, that you can carry in your purse. 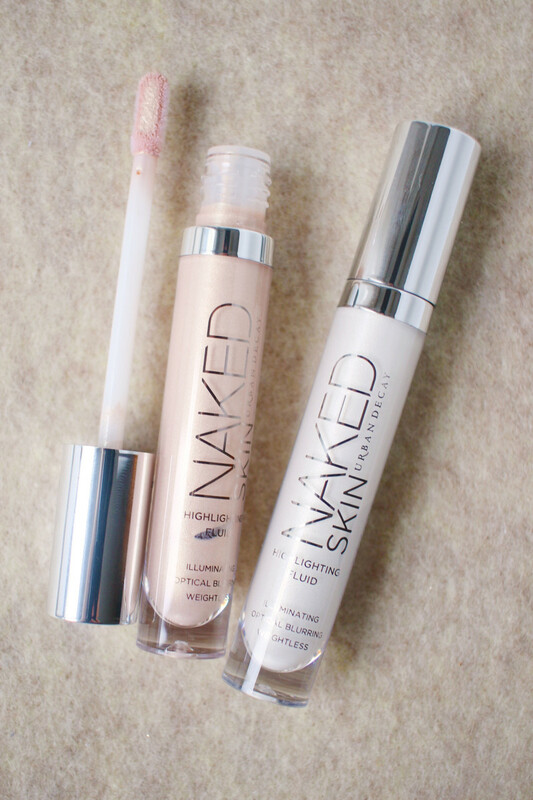 Urban Decay Naked Skin Highlighting Fluid in Sin and Luminous. Remember Urban Decay&apos;s Powder Highlighters from 2015? 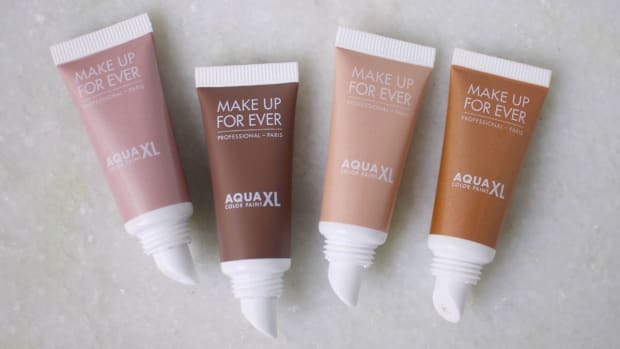 They now come in cream versions, in the form of new Naked Skin Highlighting Fluid. Needless to say, I like these better! They remind me of the Color Correctors I loved so much last year, which came in the same packaging format and had a similar creamy texture. But rather than correcting, the highlighters are designed for "non-touring"—contouring the face with light! I can get behind that. There are five shades and I tried two; Sin is my favourite because it imparts a universally flattering champagne glow. Luminous is a pearly white, which is a little less subtle but also gorgeous. If you&apos;re one of those people who uses a pin to separate your lashes, CoverGirl&apos;s latest mascara is for you! Total Tease has a wand unlike anything I&apos;ve seen before. One side has short, dense bristles for coating your lashes with the formula (it comes in black, brown and blue, by the way). The other side has a unique, ball-shaped teasing comb that you pull through your lashes next. It&apos;s meant to separate them and remove clumps for an ultra-defined look. 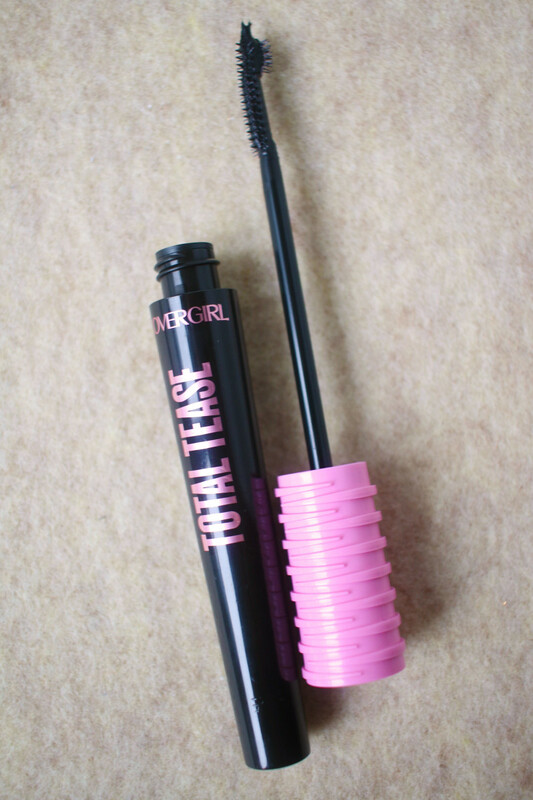 No, it&apos;s not going to give you massive volume, but it does deliver lovely long lashes fast. The teasing comb can also be used to fan out your lashes for a Bambi effect. Biotherm Aquasource Plump & Glow Lip Balm. Biotherm had me at the words "naturally rosifying" (totally stealing that verb!). 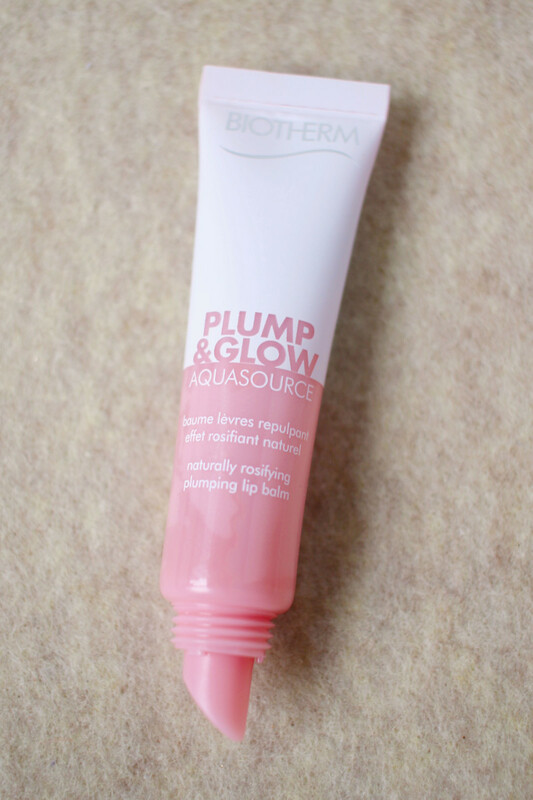 The Aquasource Plump & Glow Lip Balm is a glossy balm that&apos;s meant to bring back your lips&apos; natural rosiness. Since mine are quite pigmented already, I didn&apos;t notice any colour change, but the shine looks super-pretty and feels moisturizing (not sticky). There&apos;s a mild plumping effect, but nothing tingly or irritating. 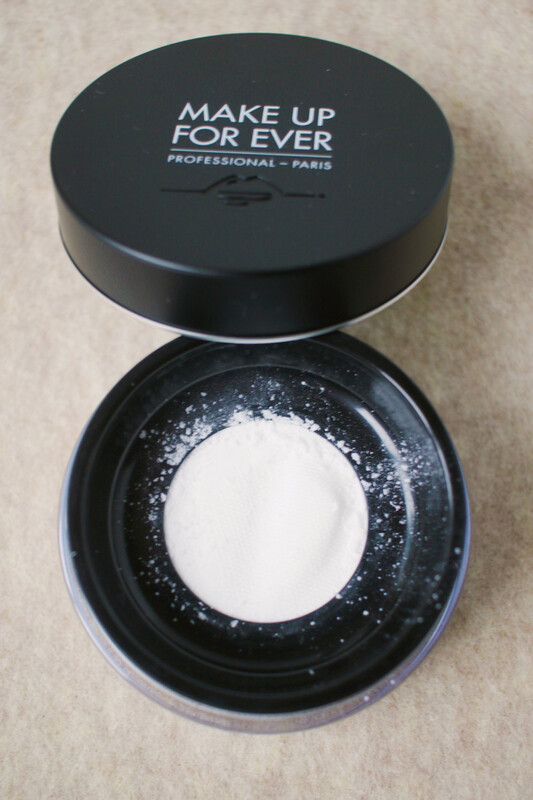 Make Up For Ever Ultra HD Microfinishing Loose Powder. As a long-time fan of Make Up For Ever&apos;s original HD powder, I will admit I was slightly disappointed when I learned they formulated it—now the Ultra HD Microfinishing Loose Powder. It used to be 100 percent silica, but the new version has a bit of dimethicone and the preservative phenoxyethanol, which I normally try to avoid. But if you don&apos;t care about that, I think you&apos;ll be impressed. I found the packaging easier to use and less messy (that&apos;s a sifter it dispenses through in the middle). The powder itself is more transparent and blurring, and the texture seems more finely milled. 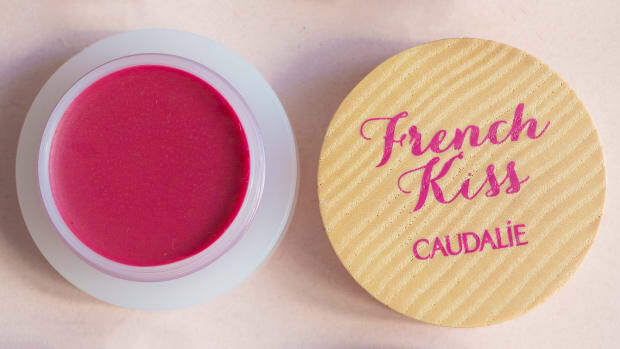 You should still use it sparingly to avoid a white cast, but I think it&apos;s still one of the best powder options on the market for taming shine without cakiness. I&apos;m always on the lookout for good tinted brow mascaras; I think they create a more natural look than pencils and powders. Elizabeth Arden Statement Brow is my latest discovery. This gel comes in four shades; I tried Honey, the second lightest (it&apos;s more ashy than Blonde, which seems too red). For darker brows, I&apos;d go with Deep Brown instead of Brown for the same reason. The colour is a good match for me and it holds without making brows crispy. It also adds texture, thanks to kaolin clay, for a subtly fuller look. 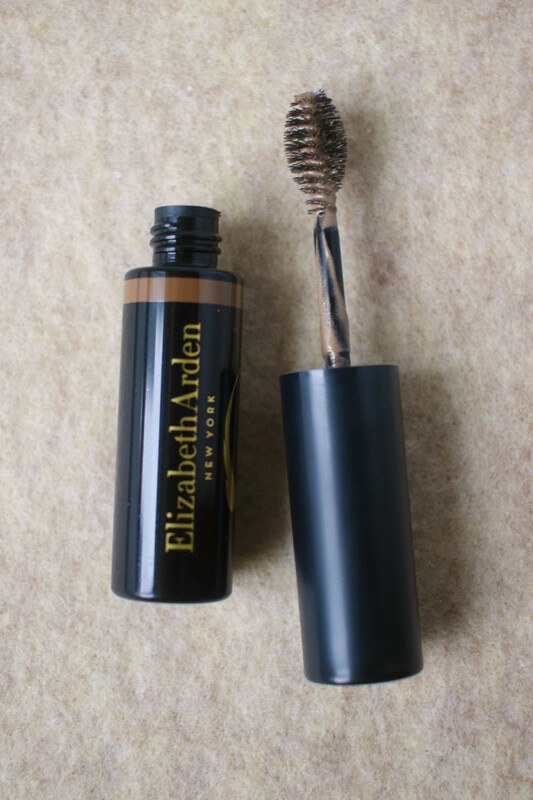 This is one of the better brow mascaras I&apos;ve tried! 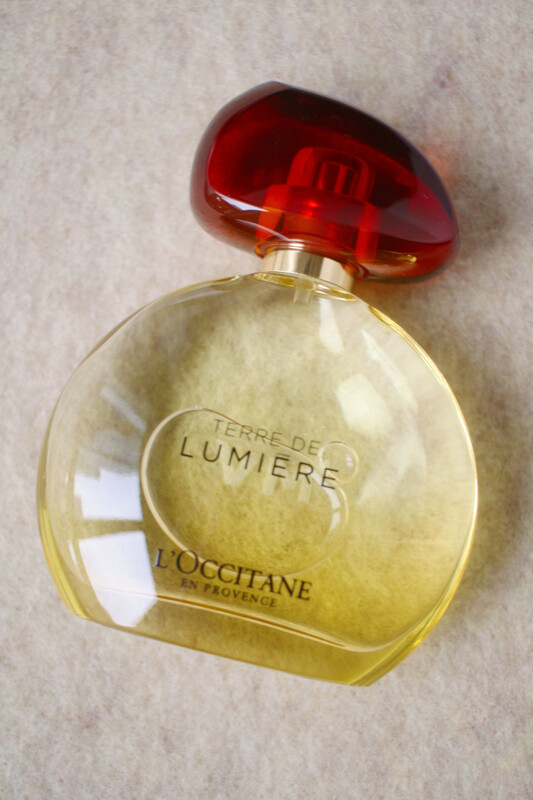 L&apos;Occitane&apos;s Terre de Lumière is one of the most unique perfumes to cross my desk lately... maybe ever! The main notes are lavender, honey and almond, with a faint a base of balsamic and musk. I&apos;ve never smelled that combination before! Although it is the brand&apos;s first gourmand fragrance, it&apos;s not sickly sweet like most "dessert" perfumes, nor is it floral from the lavender. The best way to describe it is simultaneously fresh and warm, and a little bit beachy (but not sunscreeny). Really love this one for summer! 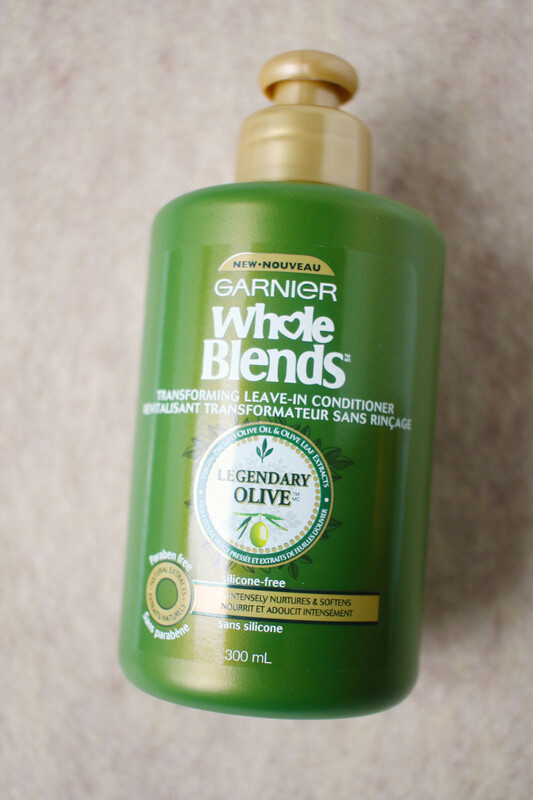 Garnier Whole Blends Transforming Leave-In Conditioner. Last but not least, we have the Garnier Whole Blends Transforming Leave-In Conditioner. This caught my eye because it&apos;s one of the very few silicone-free options at the drugstore! It can be applied to wet or dry hair, and has a great creamy texture. I was surprised that even on my fine hair, it smoothed my ends down without making them limp or greasy! I also tried this as a regular rinse-out conditioner in the shower and it worked great. 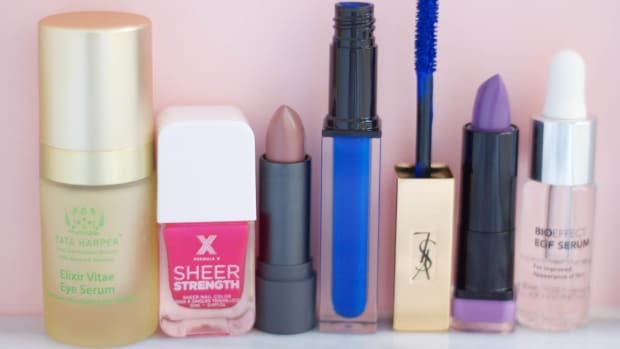 Now you&apos;re up to speed on all the beauty launches worth knowing about! 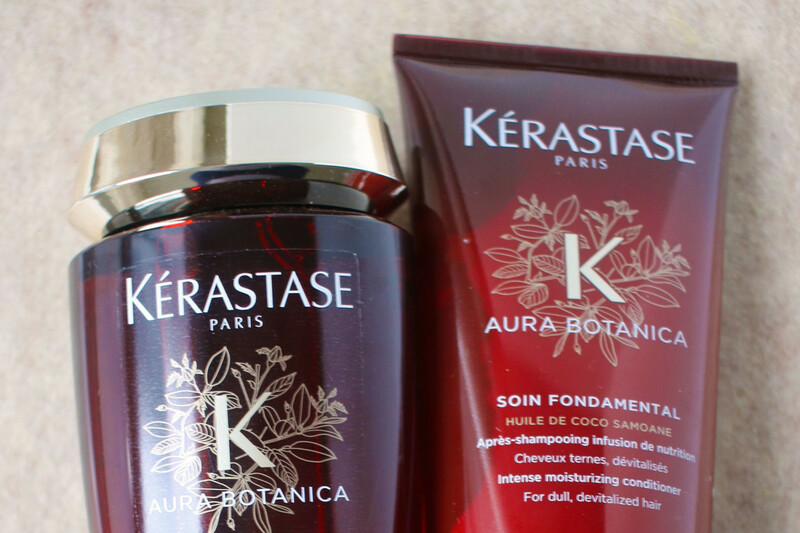 My favourite is definitely the Kérastase—I&apos;ve been using the shampoo and conditioner non-stop since they arrived. I&apos;m also getting into summer makeup mode with the Marc liners, Lancôme lippies, NARS tints and Chanel bronzer!